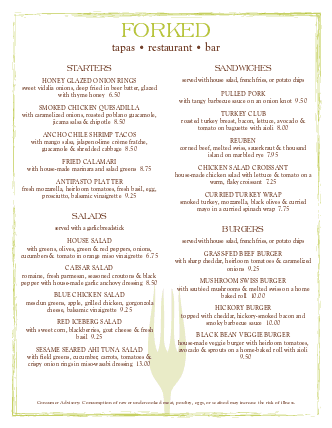 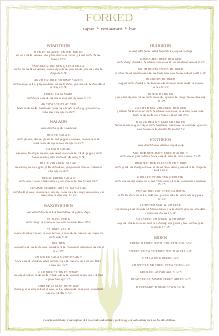 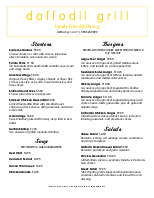 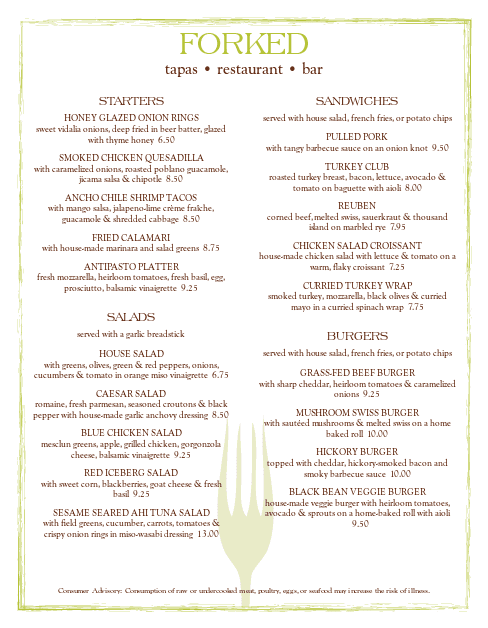 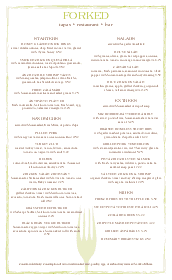 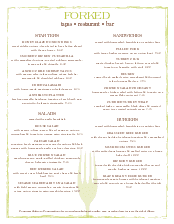 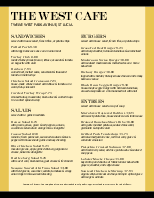 This bar restaurant menu features two columns of menu items presented in a modern, bold style. 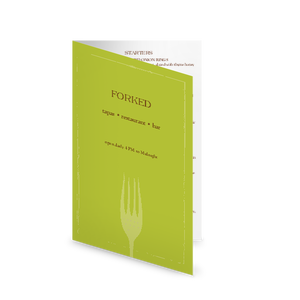 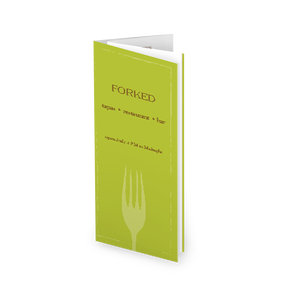 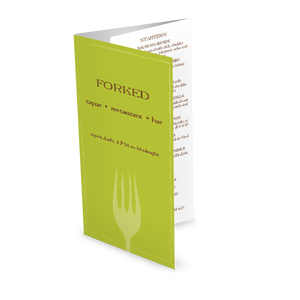 A light border runs around the page, tying the menu together. 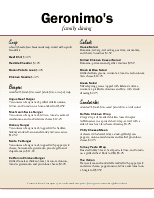 This family restaurant menu can be updated online using the Menu Editor.